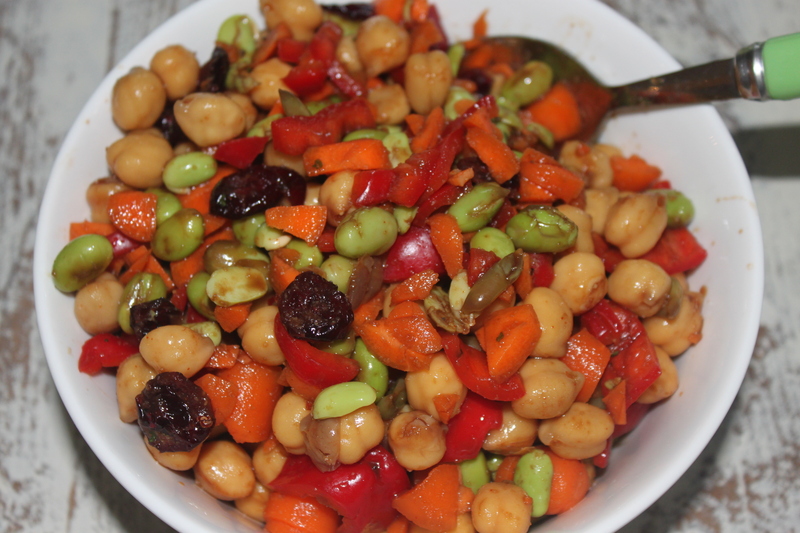 I was at the supermarket today and picked up this delicious chick pea salad and it occurred to me I could make it lighter and tastier if I doctored it myself. Here is the final result and I think it’s a nice compliment to any meal! Add all ingredients to large bowl, toss and refrigerate for at least an hour.